The S-1 series from Riedon utilise wirewound technology to offer great precision, high temperature ratings of up to 275°C, low temperature coefficient and superior surge handling capabilities, all within a surface-mountable package. With resistance values between 0.01Ω and 400Ω, they are also available with non-inductive windings (type SN) and power ratings of 0.5W (at +70°C). The S-1 wirewound resistors offer tolerances down to ±0.05%, TCR to ±20 ppm/°C (resistance value dependent) and flame resistant UL 94V-0. The high power, wirewound surface-mountable S series from Riedon make them ideal for applications where the resistor needs to handle high pulse levels and transients. 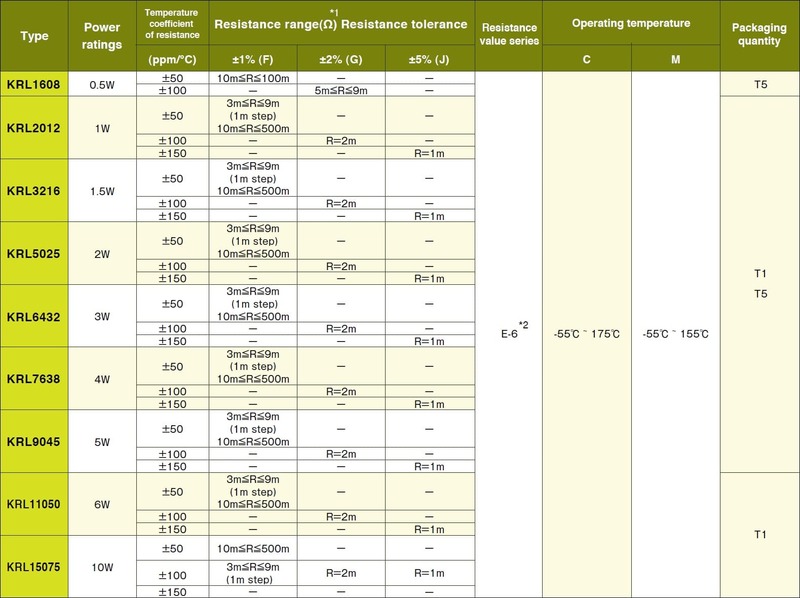 They are available with custom resistance values and other TCRs are available upon request, please see the datasheet for standard options. 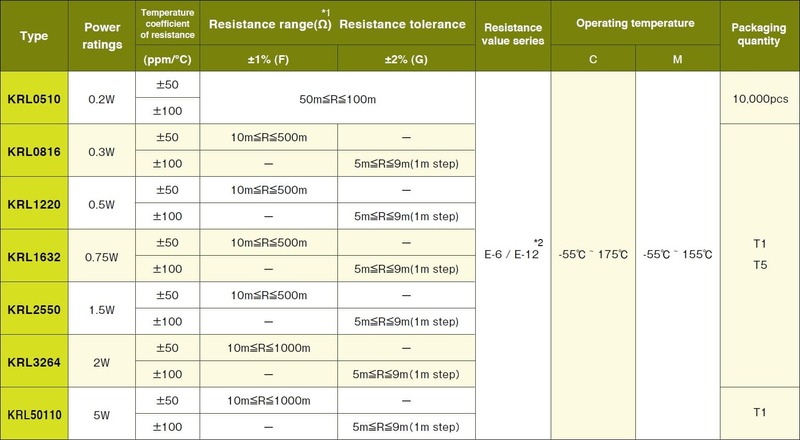 1 Below 0.1Ω the inductance of a single winding, or the metal element (SL) is negligible. The S-2 series from Riedon utilise wirewound technology to offer great precision, high temperature ratings of up to 275°C, low temperature coefficient and superior surge handling capabilities, all within a surface-mountable package. With resistance values between 0.005Ω and 3kΩ, they are also available with non-inductive windings (type SN) and power ratings of 1W (at +70°C). The S-2 wirewound resistors offer tolerances down to ±0.05%, TCR to ±20 ppm/°C (resistance value dependent) and flame resistant UL 94V-0. The S-3 series from Riedon utilise wirewound technology to offer great precision, high temperature ratings of up to 275°C, low temperature coefficient and superior surge handling capabilities, all within a surface-mountable package. With resistance values between 0.01Ω and 25kΩ, they are also available with non-inductive windings (type SN) and power ratings of 3W (at +70°C). The S-3 wirewound resistors offer tolerances down to ±0.05%, TCR from ±20 ppm/°C (resistance value dependent) and flame resistant UL 94V-0. The S-4 series from Riedon utilise wirewound technology to offer great precision, high temperature ratings of up to 275°C, low temperature coefficient and superior surge handling capabilities, all within a surface-mountable package. With resistance values between 0.01Ω and 15kΩ, they are also available with non-inductive windings (type SN) and power ratings of 2W (at +70°C). 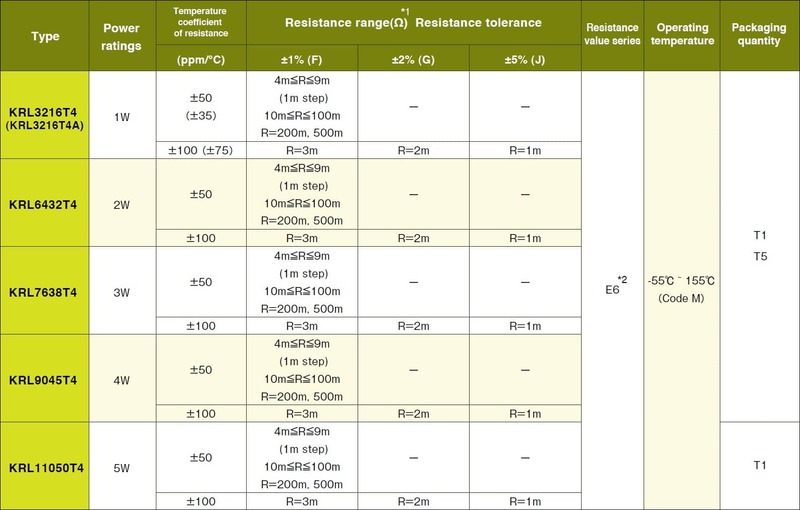 The S-4 wirewound resistors offer tolerances down to ±0.05%, TCR from ±20 ppm/°C (resistance value dependent) and flame resistant UL 94V-0. The S-5 series from Riedon utilise wirewound technology to offer great precision, high temperature ratings of up to 275°C, low temperature coefficient and superior surge handling capabilities, all within a surface-mountable package. With resistance values between 0.01Ω and 50kΩ, they are also available with non-inductive windings (type SN) and power ratings of 4W (at +70°C). The S-5 wirewound resistors offer tolerances down to ±0.05%, TCR from ±20 ppm/°C (resistance value dependent) and flame resistant UL 94V-0. The SL-2 series from Riedon utilise wirewound technology to offer great precision, high temperature ratings of up to 275°C, low temperature coefficient and superior surge handling capabilities, all within a surface-mountable package. 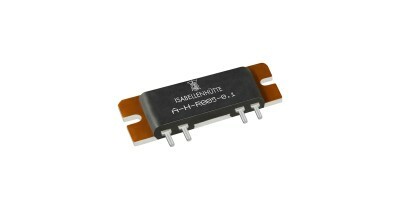 With resistance values between 0.005Ω and 0.01Ω, and power ratings of 1W (at +70°C). The SL-2 wirewound resistors offer tolerances of ±1% to ±5%, TCR ±200 ppm/°C (for low values contact us) and flame resistant UL 94V-0. The high power, wirewound surface-mountable SL series from Riedon make them ideal for applications where the resistor needs to handle high pulse levels and transients. The SL-4 series from Riedon utilise wirewound technology to offer great precision, high temperature ratings of up to 275°C, low temperature coefficient and superior surge handling capabilities, all within a surface-mountable package. 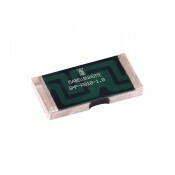 With resistance values between 0.0058Ω and 0.07Ω and power ratings of 2W (at +70°C). The SL-4 wirewound resistors offer tolerances of ±1% to ±5%, TCR ±200 ppm/°C (for lower values contact us) and flame resistant UL 94V-0. The KRL0510 series of short sided terminal metal foil low resistance chip resistors from Susumu have been developed to withstand high operating temperatures and applications that require the use of low EMF components. The C type utilises materials that can be operated up to +175°C, where as the M type utilises low EMF materials that are stable up to +155°C. Susumu's metal foil technology enables a very stable TCR at a low resistance, and the face down mounting allows for accurate high current measurement. The KRL0816 series of short sided terminal metal foil low resistance chip resistors from Susumu have been developed to withstand high operating temperatures and applications that require the use of low EMF components. The C type utilises materials that can be operated up to +175°C, where as the M type utilises low EMF materials that are stable up to +155°C. Susumu's metal foil technology enables a very stable TCR at a low resistance and the face down mounting allows for accurate high current measurement. The KRL11050 series of long sided terminal metal foil low resistance chip resistors from Susumu have been developed to withstand high operating temperatures and applications that require the use of low EMF components. The C type utilises materials that can be operated up to +175°C, where as the M type utilises low EMF materials that are stable up to +155°C. Susumu's metal foil technology enables a very stable TCR at a low resistance and the face down mounting allows for accurate high current measurement. The KRL11050T4 series of 4-terminal metal foil low resistance chip resistors from Susumu have been developed to withstand high operating temperatures up to +155°C and are ideal for use in applications that require the use of low EMF components. The KRL11050T4 series uses metal foil technology which enables a very stable TCR at a low resistance value ranging from 0.001Ω up to 0.5Ω and the face down mounting allows for accurate high current measurement. The KRL1220 series of short sided terminal metal foil low resistance chip resistors from Susumu have been developed to withstand high operating temperatures and applications that require the use of low EMF components. The C type utilises materials that can be operated up to +175°C, where as the M type utilises low EMF materials that are stable up to +155°C. Susumu's metal foil technology enables a very stable TCR at a low resistance and the face down mounting allows for accurate high current measurement. The KRL15075 series of long sided terminal metal foil low resistance chip resistors from Susumu, have been developed to withstand high operating temperatures and applications that require the use of low EMF components. The C type utilises materials that can be operated up to +175°C, where as the M type utilises low EMF materials that are stable up to +155°C. Susumu's metal foil technology enables a very stable TCR at a low resistance and the face down mounting allows for accurate high current measurement. The KRL1608 series of long sided terminal metal foil low resistance chip resistors from Susumu have been developed to withstand high operating temperatures and applications that require the use of low EMF components. The C type utilises materials that can be operated up to +175°C, where as the M type utilises low EMF materials that are stable up to +155°C. Susumu's metal foil technology enables a very stable TCR at a low resistance and the face down mounting allows for accurate high current measurement. The KRL1632 series of short sided terminal metal foil low resistance chip resistors from Susumu have been developed to withstand high operating temperatures and applications that require the use of low EMF components. The C type utilises materials that can be operated up to +175°C, where as the M type utilises low EMF materials that are stable up to +155°C. Susumu's metal foil technology enables a very stable TCR at a low resistance and the face down mounting allows for accurate high current measurement.